Exceptional town home on the 16th Fairway of the IMG Country Club Golf Course! Expansive views are found off of your lanai at this 3 bedroom and 3 full bathroom town home. Bathrooms complete with granite and designer tile work, double sink in the master bath and a towel warmer too. Beautiful maple kitchen cabinets, granite tile countertops and updated appliances. Pavers installed on the back lanai, and back courtyard. Even a gas fireplace to enjoy the cooler Florida winter evenings. La Jolla is a unique community of 59 villas/town homes that is tucked away from it all and situated adjacent to the IMG Country Club Golf Course. Enjoy swimming year round in one of the 2 pools found at this community ( 1 heated and 1 not). 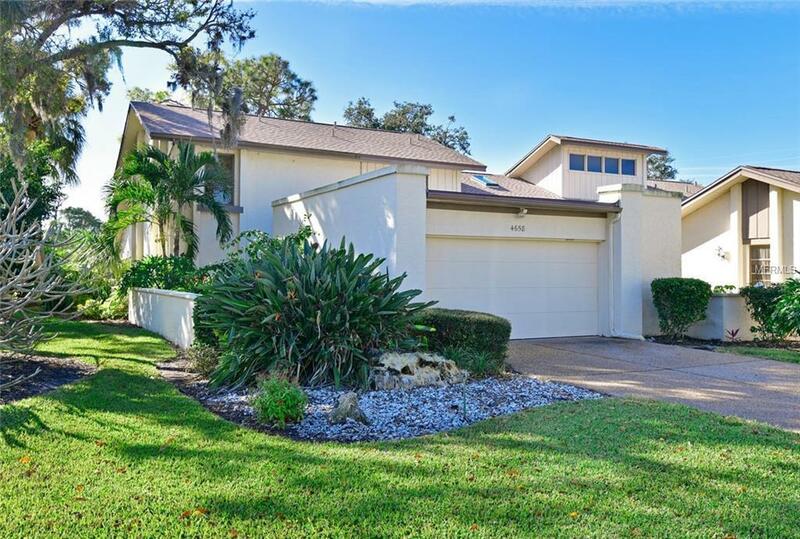 Perfect location between Sarasota and Bradenton to enjoy all the amenities both have to offer. Anna Maria Island and the gorgeous gulf beaches found there is only a few miles away. Come fall in love with this quaint and desirable community in the heart of IMG and El Conquistador today. One year home warranty being offered by the Seller at closing too! Additional Lease Restrictions 2 Month Minimum 3 Times A Year Tenants No Pets. Pet Restrictions 2 Domestic Pets Must Be Leashed At All Times.